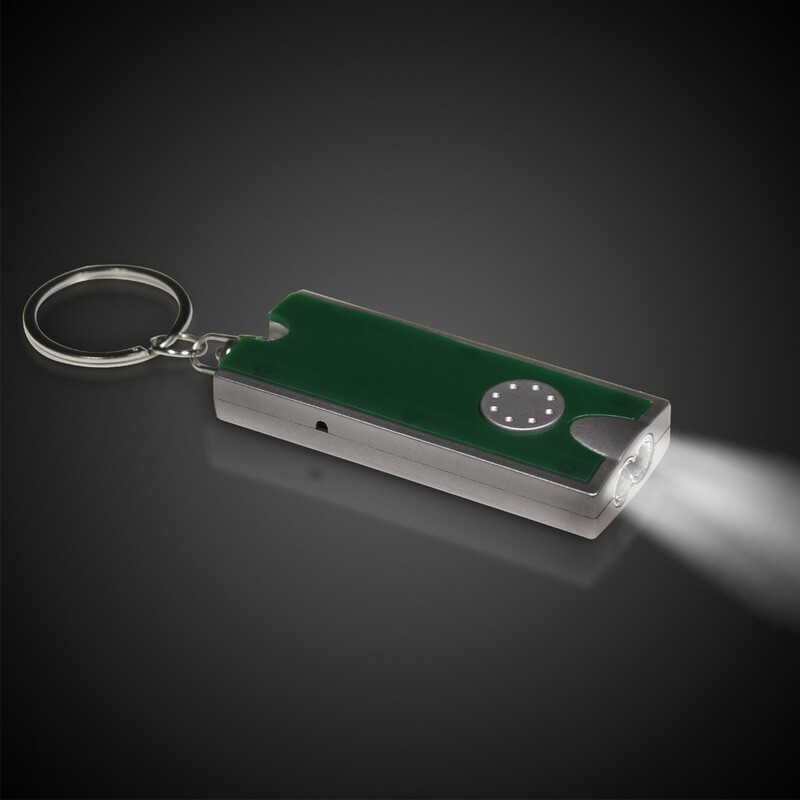 Quick Info: Perfect flashlight for key chains! 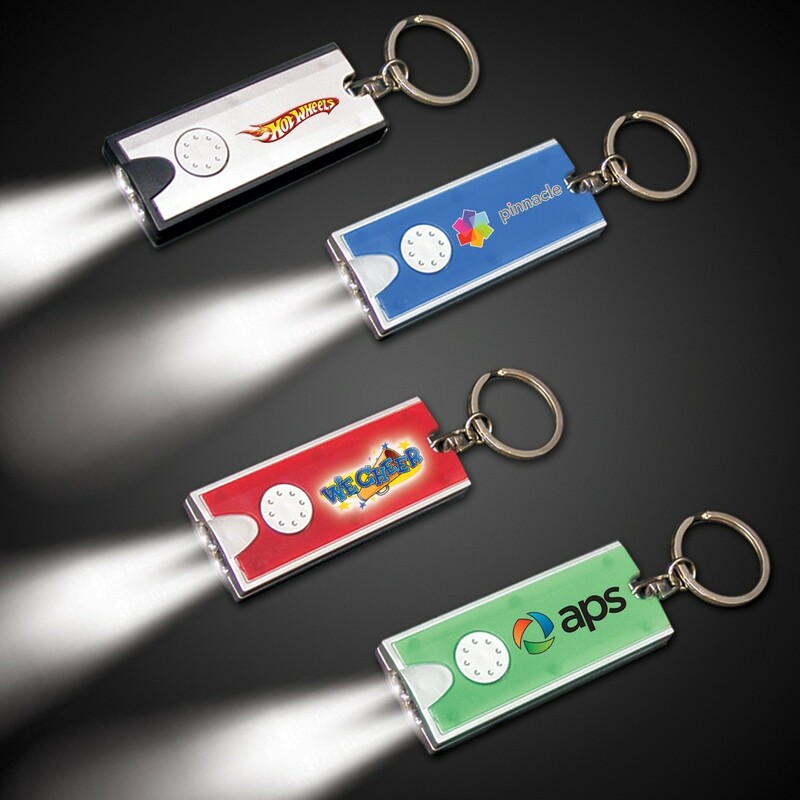 Low priced flashlights are a great promotional item. This one has a great price and 2 very High Powered White LEDs that really work well. This flashlight is no toy. It throws quite the beam of white light. Available in 5 body colors: Silver/Blue, Silver/Red, Silver/Black, Silver/Green, and Silver/Hunter Green. 2 replaceable AG3 batteries are included and installed. Looks great imprinted! 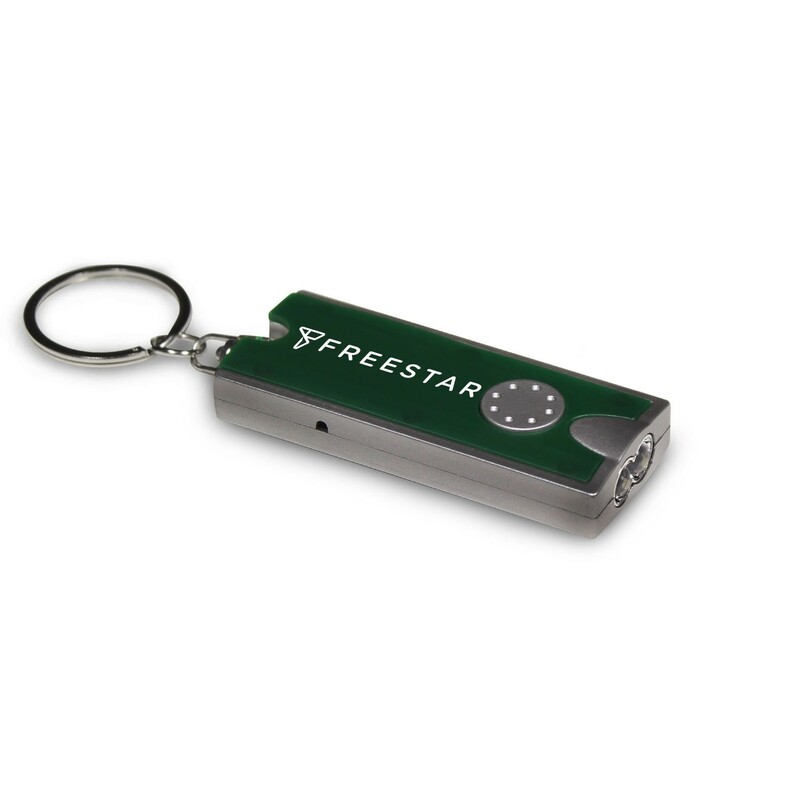 A FUN, & ECONOMICAL PROMOTIONAL PRODUCT. *FAST SHIP: This product is a member of our fast ship program. We can ship this item (up to 1000 imprinted pieces) within 24 hours after artwork is approved. Rush Fees May Apply, Please Inquire. *DIGI-PRINT IS NOW AVAILABLE!! We now offer DIGI-PRINT and almost edge to edge decorating. IT'S AMAZING! Please add 67 cents (r) for DIGI-PRINT. Set UP is $55 (v). Please call if you have questions. Above pricing includes a 1 color imprint in 1 location. For all imprinting add a Set-up fee of $55 (v). We may offer additional locations and up to 4 spot colors, PMS matches acceptable @ $14 (v) per color. For each additional location and for each additional spot color add a Set-up fee of $55 (v) and a running charge of $.25 (v) per color, per location, pad print only. Imprint Minimum is 200 pcs. Repeat set up fees apply. Call for details. Imprint Method: Pad Print or DIGI-PRINT Production Time: 5-10 business days after receipt of artwork and approval.